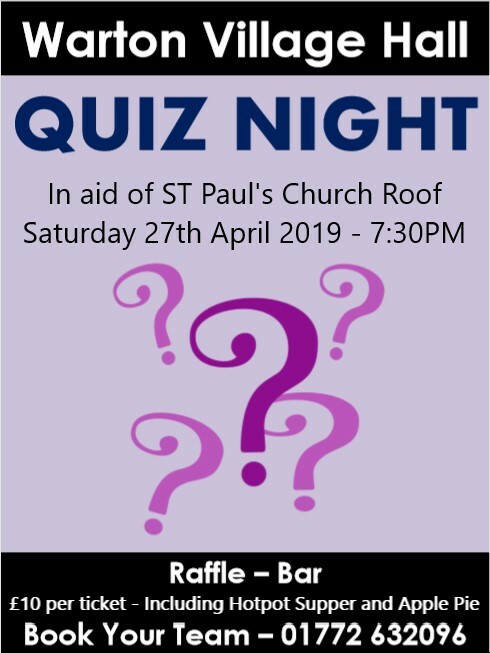 The Annual Village Quiz Night will be held in the Village Hall on Saturday 27th April 2019 at 1930. Includes hot pot & apple pie. Licensed bar.